Downtown Huntington Scores New Store. (Huntington, WV) The Greater Huntington Parks and Recreation District announced the newest tenant at Heritage Station today. Jameson Cigar Company will open a cigar and coffee store at the historic artisan center later this spring. A Huntington, WV – based company, Jameson produces four lines of handcrafted inspired cigars, Declaration Cigars, Jameson Red Label, Jameson Black Label, and Southbound Series Latitude Cigars, as well as special edition, limited-run cigars. Jameson also sells Rockstone Premium Coffee. Rockstone Coffees are artisanal, micro-roasted coffees representing diverse regions, roasts, and blends. “This all began with a simple dream,” said Brad Mayo, president of Jameson Cigar Company. “We wanted to create world class cigars and share our passion for cigars with others. Opening this store is the next step in fulfilling that dream,” he said. The shop at Heritage Station is the company’s first retail store. 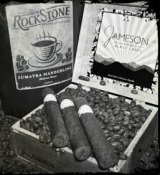 Jameson Cigar Company currently sells cigars and coffee through the company’s website, www.jamesoncigars.com, and other retail merchants. Jameson Cigar Company joins several other recently announced tenants: Sadler & Smith, Event Solutions, River and Rail Bakery, Present Blessings, and Morrison Studios. Together, these businesses join a group of other dynamic businesses, including Adell’s Antiques, All About You Hair & Nail, Bodyworks Spa and Gallery, Crumpets and Tea, Custom Framing by Jenks, Eve, Inc., the Red Caboose and Sweet. Kevin Brady, Director of the Greater Huntington Parks and Recreation District said, “We are thrilled to welcome Jameson Cigar Company to Heritage Station. We are undergoing a complete revitalization and transformation of Heritage Station, creating a showcase for the creativity and vitality of the region’s artisans and entrepreneurs,” he said. 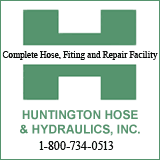 The Convention and Visitors Bureau and the Greater Huntington Parks and Recreation District announced the redevelopment plan in the summer 2010. The plan calls for Heritage Station to ultimately become an artisan retail center where local residents and guests can shop locally-owned galleries and boutiques and be entertained by local artists and performers. For information about the redevelopment of Heritage Station, contact Tyson Compton at 304-525-7333 or Stacy McChesney at stacy.mcchesney.firefly@gmail.com.